Nestled in the heart of Godspeed You! Black Emperor is a potent mystery. Even as interviews started becoming a fraction of a percent more frequent, the ever-changing collective of Canadian musicians has remained enigmatic, their mythic reputation built on rumors of anarchism and political dissidence. Then, of course, is their music itself, which, with its slow-building crescendos, heartrending emotions and long symphonic movements, positioned the band as one the quintessential post-rock outfits. And just like one of those symphonic movements, GY!BE hit a peak and then faded away, using that word “hiatus,” which bands use when they aren’t entirely sure what their future holds either. They were a band that seemed to disappear before their time, so when they reunited in 2010 to perform live, fans breathlessly anticipated new material. In typical GY!BE fashion, their fourth album, ‘Allelujah! Don’t Bend! Ascend! emerged without fanfare, sold at concerts starting October 1, 2012 before being widely released two weeks later. But given the material, the group’s sudden and unconventional release strategy feels more like a way to cover up what often sounds like a holdover album, when it should be a major comeback. 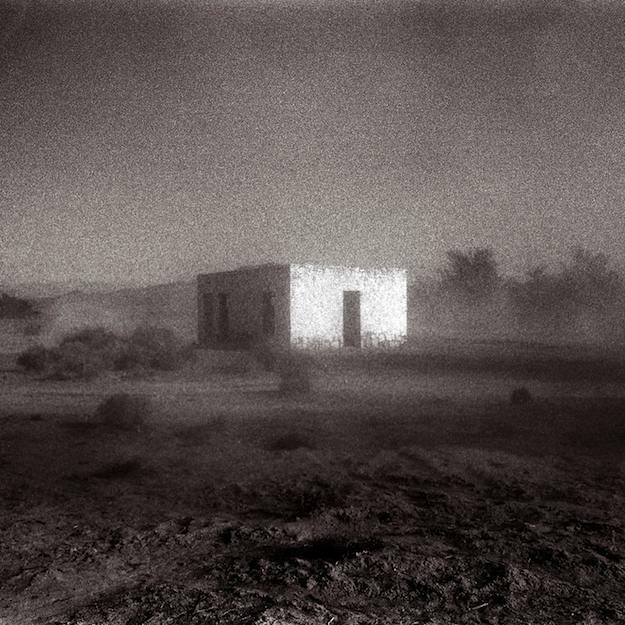 ‘Allelujah isn’t a bad record—it’s actually a pretty good one—but it’s one that feels slighter and covers considerably less ground than its predecessors. This is a particularly heavy and downcast Godspeed album—even though other instruments are played, the record runs mostly on guitar squall and squealing strings—and because of that, it can sometimes seem stuck in one mode, one that’s dark and foreboding. As a result, where GY!BE are usually masters of tension and release, the rise-fall-rise-fall technique doesn’t pay as great dividends here as it has in the past since we’re rarely taken to new territory. Individually, the tracks work. The two long-form compositions, which are reworkings of older live material, are appropriately epic: The doomy, metallic “Mladic,” rises from dissonant rumbles to overblown Middle Eastern-tinged apocalyptic rock, while “We Drift Like Worried Fire” builds even slower to a rousing climax. Even the two shorter drone pieces, though clearly not the focal point, are well-crafted, particularly “Strung Like Lights At Thee Printemps Erable,” which sounds like a decaying recording of a distant explosion. Yet, when these four tracks are placed one after the other, what initially comes off as intense and claustrophobic quickly downshifts to tiresome, diminishing the impact of the compositions and the album as a whole. Some listeners may praise to GY!BE’s commitment to tone, but where the frustration on, say, Lift Your Skinny Fists‘ “Static” seemed visceral and palpable, here it seems tepid and illusory. Nevertheless, ‘Allelujah! Don’t Bend! Ascend! is still a welcome and intermittently satisfying return from a post-rock giant, and hopefully next time, they will explore a larger variety of textures and moods.